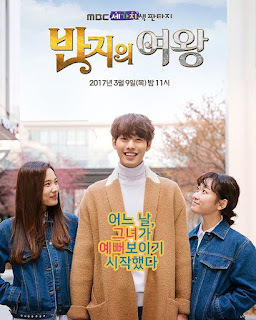 Story about a girl Nan Hee (Kim Seul Gi) who does not believe in herself because she feels she does not look as pretty as others. One day she receives a ring which holds a family secret. Due to the magical ring, she gets Se Gun (Ahn Hyo Seop) who's a handsome guy but has a cold-blooded personality to see her as his ideal type. It’s a very short cute love story. I don’t have much to say about it than if you have an evening where you are not doing anything, this would be a nice way to fill up your time. Kim Seul Gi never sieze to amaze us with her humoristic acting. And Ahn Hyo Seop is a newbie who I’m pretty sure everyone is looking forward to see more of him. All in all, I wouldn’t let this little gem go lost.